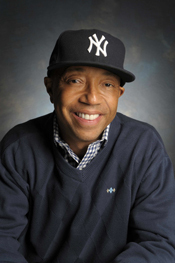 The Stevie Awards today announced that Russell Simmons, an entrepreneur and philanthropist best known as the co-founder of Def Jam Recordings, will be honored with its Difference Maker award at The 9th Annual American Business Awards ceremony on June 20 at the Marriott Marquis Hotel in New York City. This honorary award is the first of its kind and will be presented to Simmons for his groundbreaking vision and influence on music, fashion, finance, television and film, as well as the face of modern philanthropy. The annual gala, which will be attended by more than 600 executives, will be hosted by Fox News Channel business reporter Cheryl Casone. Named one of USA Today’s “Top 25 Most Influential People,” the New York City-born Simmons created Def Jam Recordings in 1984 with partner Rick Rubin, signing forerunners of the hip-hop movement like the Beastie Boys, LL Cool J and Public Enemy. From creating his seminal Def Jam, to the 2007 publishing of his New York Times best-seller Do You! 12 Laws to Access the Power in You to Achieve Happiness and Success and his latest New York Times best-seller SUPER RICH: A Guide To Having It All, Simmons expanded his personal vision far beyond the music world to create a varied business empire with RUSH Communications, a leading multi-faceted holding company with investments in prominent and respected brands in entertainment & media, fashion & lifestyle, finance and empowerment industries. Widely recognized as the premier business awards program in the U.S., The American Business Awards honor organizations and individuals in a wide variety of categories -- from management and public relations to technology, human resources, new products and more. Judges of The American Business Awards include many of the leading figures in American business. What do you think of the choice of Russell Simmons for this award?